As a medium sized construction company we are involved in many aspects of building, including The complete restoration of Listed Buildings, New Build Luxury Houses for specified clients and any refurbishment and building work, including construction of Commercial Units. We also undertake to provide though our association with specialist sub-contractors a service for Mechanical and Electrical engineering and complete Plumbing installations. We undertake Demolition and Ground-works with regards to road installation, Underground Drainage, Surfaces water Services up to completion and Landscaping can be undertaken where applicable. 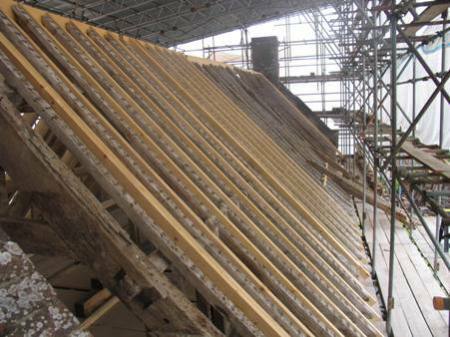 As an East Dorset based company we have carried out major works across Dorset, Wiltshire, Hampshire and Somerset. S D Richards Building Contractors Ltd. is a East Dorset Based Builder located in Verwood, covering Dorset, Hampshire & Wiltshire. In recent years we have undertaken projects in Verwood, Cranborne, The New Forest, Ringwood, Farnham, Sixpenny Handley, Wimborne, Shaftesbury, Salisbury, Bournemouth, Poole and beyond.